The concept of a user conference is not a new idea, however we are pretty sure it is within the UK agri-tech space. For those of you who haven’t attended one before, the idea of a user conference (or the idea of our conference) is for you as a user, or potential user, to understand who KisanHub are, what we are about, and ultimately what we are trying to achieve within our field — and yours too! A satellite imagery area — here you will be able to meet KisanHub’s very own Earth Observation Scientist — James. If you are an existing user of the platform it will be a great chance for you to discuss your findings from this season’s imagery and how you are integrating it into your business. 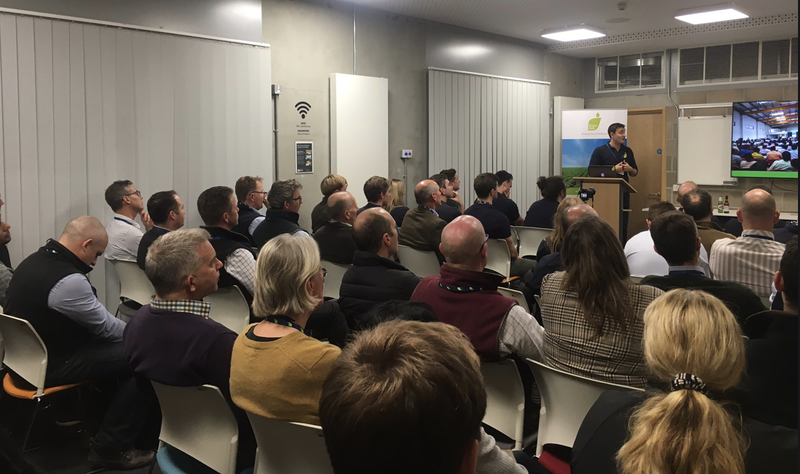 For prospective users there will be the opportunity to ask James any burning questions about how KisanHub operates our satellite imagery function! A tech area — you will have the chance to meet some of our senior developers and find out more about the coding behind software and how they write it. Or maybe you could use the opportunity to persuade them to write the code for the new feature you want the platform to have! A trials area — You can meet Jonny, our Customer Success manager for our trials clients. He will be able to explain the exciting new features that the trials development team have been quietly working on over the last few months, including the mobile app! An onboarding area — Liv and Simon — Customer Success managers for the Enterprise platform will be available to any new growers who would like to begin the set up process or for anyone who would be interested to know how the process takes place. The rest of the team will be there on the night for you to talk to — VP of product Tim will be there to answer any questions, as will the sales team Toby and Liz, and of course Sachin and Giles, our co-founders.